We have a chilly 3C (36f) at 8:30am as we head south down I-5 looking at the blue sky ahead, we have sunshine! . Our destination is Bakersfield, CA, 604 km (375 mi), which is going to take all the daylight hours of the day to arrive at, but we have an easier drive ahead than the one we left behind so we’re set to go. Click here to see our travels through winter conditions the previous day. This area south of Red Bluff is the Sacramento Valley and I-5 bypasses several small towns for many miles before we get to Sacramento. Another route that we have used at times when travelling later in the year is Hwy 99, which visits several towns and offers slower travel with a different vista. California has been growing rice since the Gold Rush days and has found the most ideal locations is all within 100 miles of the State Capital, which is Sacramento,CA. 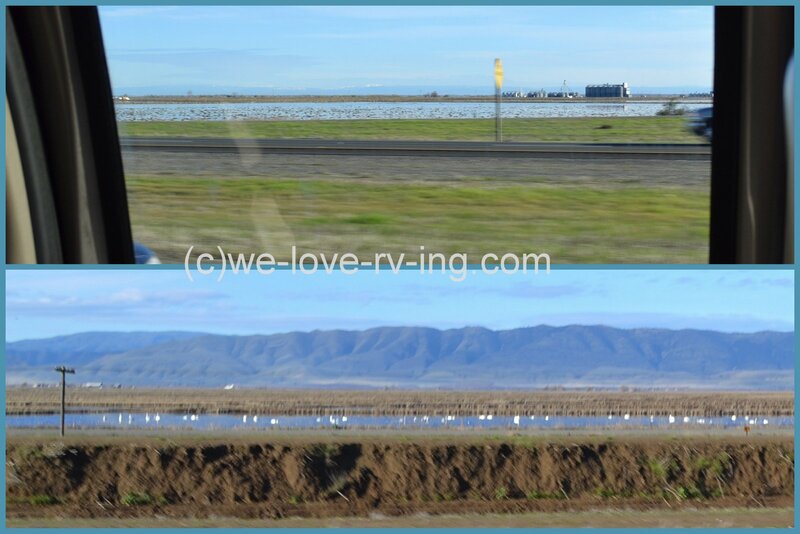 We see several rice fields lining the highway and many locations like this one to store the rice, a big industry in California. The rice farms also provide habitat, food and breeding grounds for 230 species of wildlife. 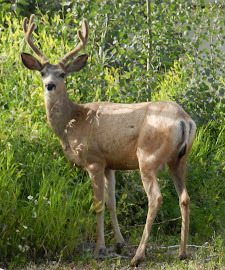 It is estimated that between 10 and 12 million waterfowl visit this area each year. We did see several ponds covered with what we believe to be snow geese, although just too far away to see properly. Other rice field were covered with zillions of birds. This shows an area that we believe to be more rice fields that we cross using a very long span of bridge adjacent to the Vietnam Veterans Memorial Bridge. This bridge crosses the Sacramento River and we also watch a jet cross over on its’ landing at the Sacramento airport. We are now 10 miles north of the State Capital. 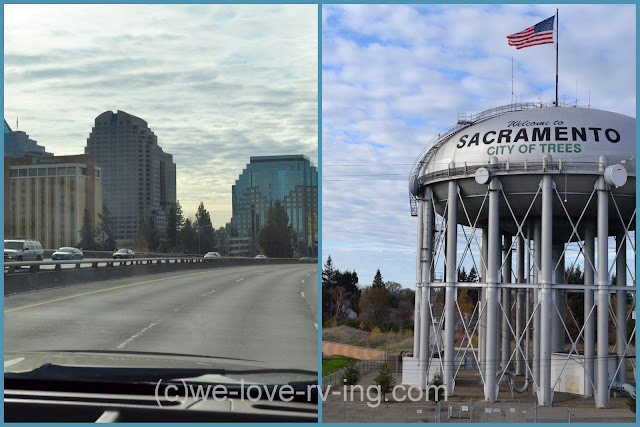 Saturday morning is a quiet traffic time for Sacramento so always a good time to pass through the city. This next segment of I-5 has seen much needed improvements over the past few years, and it continues, making it a better drive each year. I have taken a picture of the water tower every time we pass but this is the best one yet! City of Stockton in the San Joaquin Valley on I-5 is located on the Stockton Deepwater Ship Channel This is 75 nautical miles east of San Francisco and it is quite surprising to see the size of the ships that are moored near this inland highway. Maggie says, "are we there yet?" RV travelling with pets is much easier than most other forms of travel. Maggie made her first trip to California when just a tiny puppy and definitely prefers this winter weather. She is a great little traveler and like most pets, she is happy no matter what, as long as we are all together. Our high temperature of the day reaches 14C (57f) and although that doesn’t sound very warm, our stops at the Rest area for lunch and fuel stops are great. We pass miles of rolling hills continuing down I-5 and feel the nice warm sun through the windows most of the day. By the time we leave I-5 following Hwy 46 through Wasco and Bakersfield for the end of our travelling day, the clouds move in and darkness soon follows. 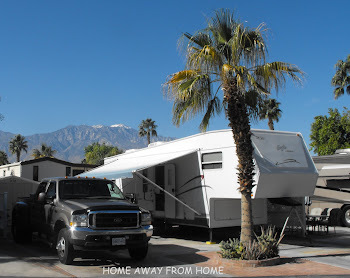 We are ready to stop for the night and get a good rest before continuing on our travels tomorrow, which we will share the as we make our way through Tehachapi and onto Palm Springs. CA.